Assiduously crafted extra lager with strong flavour, dressed in white and gold, symbol of purity and elegance. 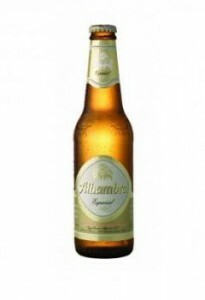 Its precise process of elaboration, with 100% natural raw materials, together with the experience of our master brewers makes Alhambra Especial a high quality lager. This beer is perfect for a hot afternoon. The lager has a clean taste with a bit of hop aroma. Malt is not noticeable in this beer. When poured, its color is light straw with a white head and small bubbles. Its taste has a subdues bitterness and when it is drank cold, it is quite refreshing. This is also a good combination with tapas.